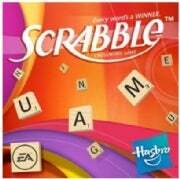 For Amazon's Kindle the Hasbro game Scrabble is a seven-letter word score - aka - success . In a mere week of sales at the Kindle store the word game Scrabble has zoomed to the top of the bestseller list for paid apps. What makes Scrabble's meteoric rise even more astounding is that the Kindle isn't exactly the most game-friendly gizmo in the consumer electronics market. That's evident as Scrabble is the only game among the top 20 bestsellers on the list, which boasts books like The Girl Who Kicked the Hornet's Nest, by Stieg Larsson; The Postcard Killers, by James Patterson; and Naked Heat, by Richard Castle. The game, which sells for $4.99, has both a two and single player mode. With two players, the Kindle is passed back and forth between the scrabblers as they complete their turns. There's also a "best word" feature--which will make scrabble purists gag--that will automatically create the highest scoring word for a player based on the tiles in his or her possession. In addition, the game can be paused and resumed later. What's more, there's a statistics tracking feature that can be used to track a player's improvement, hopefully, over time. According to the game's maker, Hasbro, Scrabble for the Kindle was adapted to take advantage of the unique capabilities of the reader, such as optimal viewing in direct sunlight, a selling point that Amazon's been exploiting lately. "We're very excited about Scrabble for Kindle soaring to the No. 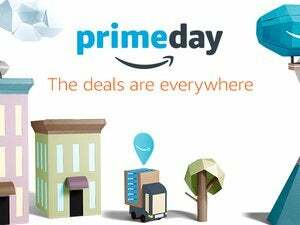 1 spot on Amazon.com just days after the game launched,""Hasbro Senior Vice President and General Manager of Digital Gaming and Media Mark Blecher said in a statement. "Scrabble for Kindle is yet another example of Hasbro's commitment to deliver innovative and immersive brand experiences to consumers when and where they want them." Through its alliance with game giant Electronics Arts, Hasbro has brought Scrabble, which has sold 100 million sets in its analog form since 1948, to a number of electronic platforms including the iPad, iPhone and iPad Touch, a variety of mobile phones and online venues like Facebook and Pogo.com.